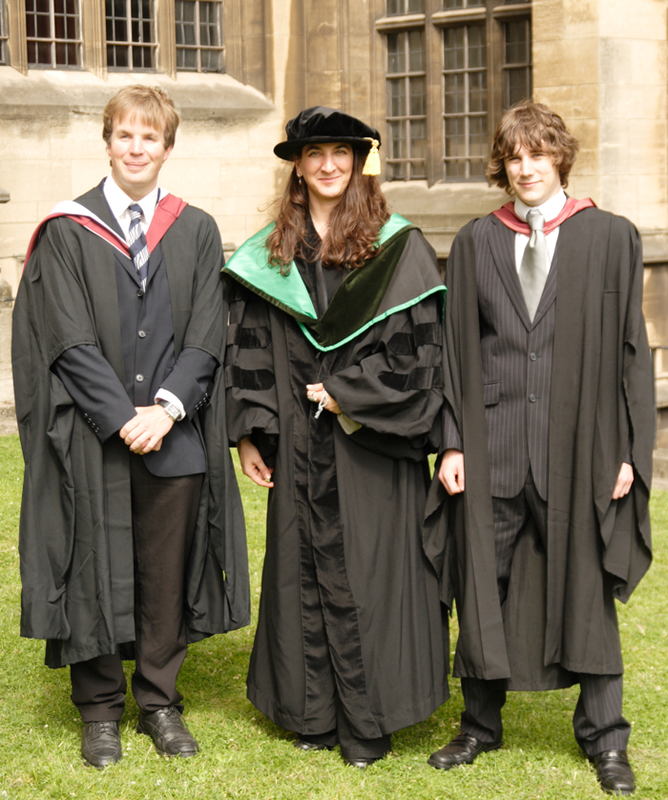 Undergraduate graduation at University of Bristol, 2008. From left: Justin Whalley, Prof. Lorena Barba, Simon Layton. Simon Layton (right) defended his PhD thesis on September 3rd, 2013 — this photo, however, was taken at his undergraduate graduation as a fresh-faced BSc in Mathematics at University of Bristol! He now looks bearded and more world-weary as he heads with PhD in hand to California. He has been hired by Nvidia, Inc. in the coveted position of DevTech engineer. On the left is Justin Whalley, who was also an undergraduate researcher in Barba's team in Bristol. He is finishing his PhD in bioinformatics at the Laboratoire Statistique & Génome in France.